I've been wanting a gold necklace since I got my gold Casio watch last December. But I cannot find one that is as cute as this anchor necklace from Shoplately. I'm not sure why I'm got attracted to this daisy pair of shorts. But it looks super kawaii *cute* in my opinion. Perfect for plain white sweater. Agree? The shades, such a statement. Oh, do I need to say anything about the panda flats? I think not. those shorts are adoraable! those shoes are adorable! EVERYTHING IS ADORABLE! 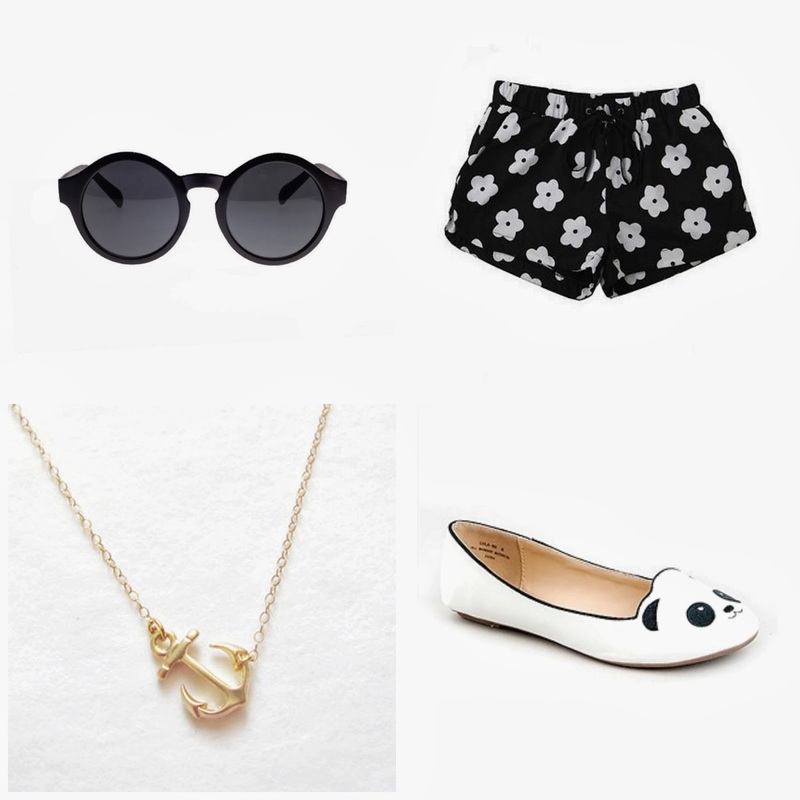 i love everything except the shades (kasi siguro hindi ko naappreciate ang mga shades kasi malabo mata ko =( *sigh*) pinaka like ko yung white panda flats! im a fan of white shoes and bears/panda bears! kapag nakakita locally sabihan mo kami ;) you wear contact lens? were did you get them? im planning to get another pair of eyeglasses by the end of march..
haha. everyone is loving the panda flats! thanks for your comments! so glad i added the panda flats! their the star on this post!